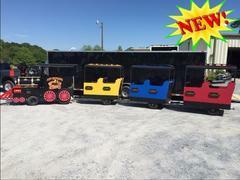 This isn't your typical 55 gallon drum strapped to a lawn tractor pulling a wagon, ABT's Trackless Train Rental is the real thing! 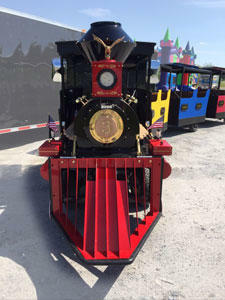 Our Trackless Train has all the classic features and design of an antique locomotive and your guests will be lining up to take part in this unique experience. Styled after a 1800's steam engine train, the ABT Express comes with a trained Engineer and conductor, and blows an authentic railway whistle.